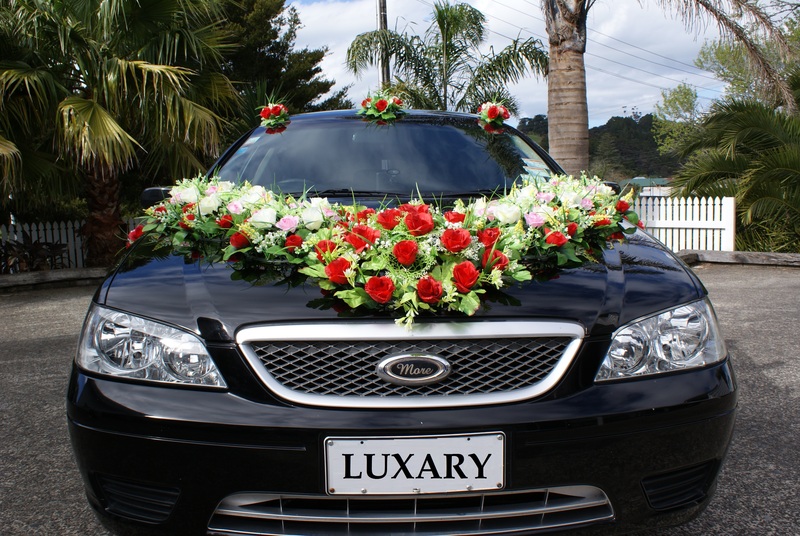 At Limo Hire Auckland we love weddings and go all out to make your big day extra special with our premium wedding car limo service. As a family owned and operated company we are able to offer that extra personal touch from the moment you ask for a wedding car hire quote or make a booking. We provide first class Wedding Limousines for the greater Auckland Region from South Auckland through to the Bay of Islands. Feel rest assured when you Book your Limousine with us that our friendly staff will be readily on hand to discuss all your wedding car transportation requirements. We will ensure that every detail is well planned in advance, is expertly organised and on the day perfectly executed. On your Wedding day, you will be transported to and from your wedding venue and reception in our pristine, fully valeted black 9-seater limousine, and our immaculately attired chauffeur will be there to take the best possible care of you while you enjoy being spoilt. Our Wedding car hire Auckland package includes a complementary bottle of bubbles for your journey and decorations of your choice. You can choose decorations in detail or just provide the style & colour theme and we do the rest. We have style options from the full monty that includes flowers inside and outside the wedding cars for hire with bright colours to a minimalist look. To ensure we have captured the finer details, as part of the quotation process you will receive a detailed itinerary of all your instructions and we will confirm this with you again prior to the event. We appreciate the needs of different cultures and our chauffeurs recognize the importance of the rituals that are performed & play their part accurately to instructions. We have had the pleasure of being involved in traditional Indian Weddings, and you will find that our eye for detail in this respect is faultless. Indian wedding cars can be very ornately decorated, we have a variety colours and themes to offer you from exterior car flowers to multicolored ribbons and serviettes in the interior. Please Note: These prices are indicative only and may vary depending on your exact requirements/itinerary. A transfer or after hours surcharge may apply. Thank you for your kind hospitality over the week of our wedding. Nothing was too difficult. I’m so truly grateful for your warmth and generosity and the kindness with which you welcome us. Our Limousine services cover the Auckland CBD, North Shore and the wider Auckland region and we are happy to offer our luxury transportation throughout the North Island.